Welcome to the four hundred and twenty-eighth of my blog interviews with novelists, poets, short story authors, biographers, agents, publishers and more. Today’s is with non-fiction and short story author Allan Douglas. A list of interviewees (blogged and scheduled) can be found here. If you like what you read, please do go and investigate further. Morgen: Hello, Allan. Please tell us something about yourself, where you’re based, and how you came to be a writer. Allan: I began writing when I was… oh, about six. I had just read a children’s Sci-Fi book entitled The Wonderful Flight to the Mushroom Planet, and it so captivated my overactive imagination that not only did it set me off on a life long love of reading Sci-Fi, but made me want to write great adventures of life in outer space and on other planets too. Unfortunately I have yet to produce any book length Sci-Fi story I consider worthy of publication, but I’ve written lots of other stuff! I’m living and working on a mountain side in East Tennessee with a wonderful view of the Great Smoky Mountains. It’s a great writer’s retreat! Morgen: That sounds lovely. I have green out my view but my / neighbour’s garden from the rear (my office) or green / golf course from the front. Apart from your sci-fi, what genre do you generally write? Allan: Mostly I write non-fiction. Primarily instructional non-fiction; I seem to have a gift for teaching. I have written some general fiction short stories. I still hold out hope for that Sci-Fi novel! Allan: Allan Douglas is my pen name. I have three books to date. 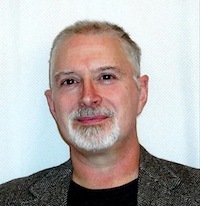 One, a treatise on structured computer programming written in the hey-day of spaghetti code, was traditionally published and provided me with royalties for years. The second was a small book on how to publish your blog to Kindle and why you should. It was self-published to Amazon and Barnes & Noble and was actually my learning exercise on how to go about self-publishing a book. 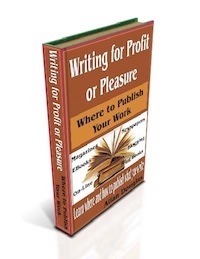 I took what I learned from that and wrote the chapters on self-publishing eBooks in my latest work Writing for Profit or Pleasure: Where to Publish Your Work, which is available for Kindle, Nook and as a paperback. Other than books I’ve published more things than I could possibly count; lots of it in magazines and newspapers, tons of web site content and, of course, my own blogs on various topics. I keep a fairly accurate list of these activities on my About the Author page. Morgen: eBooks are gaining strength so rapidly that I think all first-time authors would need all the help they (I) can get. 🙂 Have you had any rejections? If so, how do you deal with them? Allan: Oh, YES… lots of them! Part of any form or traditional publishing is realizing that for every article or book sold you will get 10 rejections. Probably more, that’s just a guess. But we have to realize that having an agent or editor pass on your work is not a personal rejection of YOU, it’s just that what you submitted does not fit their need at the time. You have to develop a thick skin and a business mindset to make it in traditional writing. Self-publishing may feel more attractive because it seems to eliminate the sting of rejections, but if your work is not up to snuff, then the rejection slips come from the reading public instead of an editor. Morgen: Absolutely, just finding the right thing for the right person, or rather vice versa. Have you won or been shortlisted in any competitions? Allan: I don’t enter a lot of “competitions” because so many turn out to be popularity contests rather than a judging of skill; whoever gets the most friends to vote for them wins. I’m not that popular (laughs). However, I have been selected for the HubNugget Award for Journalistic Excellence twice, and I recently got an award and prizes from a DuoLit contest for self-publishing articles. This turned out to be a popularity contest and I discovered I was a lot more popular than I thought! (grin) I have received several national and county awards for things I do, but those aren’t specifically related to my writing. They are on my About page if anyone is interested. Allan: No, I never have had an agent. Even my traditionally published book sidestepped the agent because I was writing articles for the magazine arm of this publisher and they asked me to write the book. As to whether or not an agent is necessary: if you want to pursue legacy publication (that is the Gold Medal of the Writer Olympics to many) an agent will (or should) be invaluable in finding the right publisher and negotiating the best deal for you. Just be sure you get a good one. Things are changing, and wolves prowl the woods everywhere these days. We cannot afford to be naïve about this business. Morgen: Which is where sites such as http://pred-ed.com are invaluable. I mentioned eBooks a moment ago, do you read eBooks or is it paper all the way? Allan: I do. In fact most of the novels I read are in eBook format because my wife gave me a Kindle for Christmas. It’s very convenient. However, I still prefer paper books for my reference material. Morgen: I bought my first Kindle in January and love it. I probably still read more paper than eInk but I love knowing I have 400+ books wherever I go. How much of the marketing do you do for your published works or indeed for yourself as a ‘brand’? Morgen: There are blog tour operators out there that I think are reasonable. Some of my interviewees come to me via Dorothy at http://www.pumpupyourbookpromotion.com and Jaidis at http://nurtureyourbooks.com although I’m helping Jane Wenham-Jones with a few extra dates of her blog tour. 🙂 How important do you think titles / covers are? Allan: These are very important, whether we’re talking novels or non-fiction. For novels, titles can be clever, enticing, mysterious – but without being misleading – and will pique a shoppers interest. Non-fiction titles are just the opposite, they must be very clear about what the book offers and why you want to buy it. A good cover is essential, but again there are differences between fiction and non-fiction. Novels benefit from artistic, imaginative artwork. Print books especially benefit from a “captivating” cover. Non-fiction… not so much. Here clarity, lay-out and purpose rule. Using a photo of a windswept moor as the background on my publishing book may have been pretty, but nonsensical. Morgen: It’s expectations isn’t it. Non-fiction should look professional – which is why I went with a simple cover for my 365-day Writer’s Block Workbook. What are you working on at the moment / next? Allan: I was working on a business start-up guide for newbie authors – so many writers are clueless about the business side of their business – but that has been laid aside… because newbie authors don’t seem to care about the business side until it’s too late. I am also two years into what I’m calling The Mountain Man’s Gardening Guide; which is a gardening book that teaches how to grow your own food on a tight budget and in challenging situations (like on the side of a mountain!). It has a long way to go because I am not willing to simply parrot what others have said, I want to speak from experience, I think that’s much more valuable. Hopefully others will too. Morgen: Having quit my job in March, I’m starting to see it as a business. “The Mountain Man’s Gardening Guide” I love the sound of that. 🙂 Do you manage to write every day? Do you ever suffer from writer’s block? Allan: I write something every day, but not always on a book. Most of my writing income comes from selling articles, I have to give that priority until books sales step up to the plate to take their turn at bat. I do sometimes get stuck on one project, but I always have so many going that I can turn to another. Once I’m not beating my head against the wall of the blocked project a solution usually presents itself. If not, I ask my wife. No, seriously, she has come up with some great solutions to plotting problems when I’ve written myself into a corner. But that is humbling, so I save that as a last resort! Morgen: Second opinions are invaluable. Do you plot your pieces or do you just get an idea and run with it? Allan: I like to plot things out. I’m very analytical. But, so many times a story or article will just present itself to my brain (usually about 3:00 AM) and it’s just there, complete, all I have to do is type it out. Morgen: A handy brain. Do you do a lot of editing or do you find that as time goes on your writing is more fully-formed? Allan: The “Inspired writings” generally require very little editing. Everything else benefits from being set aside for a while, reviewed, polished, then anything bigger than a blog post gets sent off to my editor for a quick once over. Sometimes I just print it out and hand it to her at breakfast. That’s one reason I married her. Allan: TONS! I do not and probably never will write fantasy. Anything else benefits from being believable, or at least plausible. For non-fiction, it is essential to actually know what you’re talking about or you get shut down quickly in the reviews. Some may get by with scraping content from other authors, but I will never go that route. Morgen: I don’t read sci-fi or fantasy and write very little of it, although one reviewer of my Story a Day May 2011 said my sci-fi piece (although a really short one!) was his favourite. 🙂 Do you have pieces of work that you think will never see light of day? Allan: I love the freedom it gives me. I love the ability to express myself, and I get a great ego boost when someone tells me that they learned something from my words. Least favourite: it can be hard work. Being a professional writer is not all tequila and beaches. I spend a lot of long hours researching, writing, polishing, submitting, filing rejection slips, and promoting the work that gets out there. Marketing is, for me, the hardest part. I’m a terrible huckster! Morgen: Me too, and for most of the authors I’ve interviewed. What advice would you give aspiring writers? Allan: Open your eyes. Do not go into this with the blind faith that everyone will love you and treat you fairly. Especially in the last few years, con artists abound. Learn about the publishing business as well as how to write. Learn what your options are. Determine what your goals are. Then work diligently to get the two together. Allan: Leonardo Da Vinci, Isaac Asimov, and Mary the mother of Jesus, and I’d fix my wife’s recipe for seafood lasagne. It’s awesome! Morgen: Seafood lasagne? Wow. I love seafood and lasagne so… mmm… Is there a word, phrase or quote you like? Allan: Find the good and praise it. I find it far more helpful to look for the good and try to be positive than to moan about bad stuff. Morgen: Half-glass full, we have to be don’t we? Are you involved in anything else writing-related other than actual writing or marketing of your writing? Allan: Well, yes. I’ve gotten into radio. It’s just a half-hour, once a week program, and most of the content is recorded by someone else, but I write and perform the narration and produce the program, including mixing in background music, editing the sound files, and burning the completed program to a CD for the radio station to play. Morgen: There are lovely sunsets here too… it’s just remembering to go to the front of the house to watch them. Are there any writing-related websites and/or books that you find useful? Allan: Writer Beware ® run by the Science Fiction & Fantasy Writers of America is a very good source of information about who to trust and who to avoid. I also look in regularly on Joel Frielander’s The Book Designer, Duotrope, Media Bistro and Write Jobs. There are many more, but these are my top info sources. Morgen: I’ve not heard of Media Bistro or Joel’s site, but the others are ones I’d certainly recommend (even thought I don’t write sff). Are you on any forums or networking sites? If so, how valuable do you find them? Allan: I can be found on LinkedIn, Twitter, and GoodReads. I do have a Facebook page, but I don’t do much with it. The LinkedIn groups for writers and authors provide some good opportunity to exchange ideas and information with a targeted group. Some good contacts can come from this. Twitter is very popular, and can be a reasonably good vehicle for marketing a book. GoodReads is a great source for readers to find info on new books and to discuss books they are reading. I’m listed as an author and I post book reviews, but get little reaction from it. Morgen: Goodreads reviews have been pretty harsh to me (far better elsewhere, I’m pleased to say) so I should do more than I do (which wouldn’t be difficult as all I have time to do is accept friend requests!). What do you think the future holds for a writer? Allan: It’s going to be a wild ride. Advances in technology have opened up vast new vistas for writers. Whether they work to our benefit or detriment is yet to be seen. Some predict that the flood of sub-par eBooks will lower the expectations of the public to the point that good literature will be shouldered out in favour of cheap thrills and sensationalism (like television). Others say this is just temporary; readers will again crave good writing and solid stories. Still others say that literature has not changed, just the box it’s delivered in. Me? I prefer to remain hopeful. Morgen: I agree… reviews will determine quality, although Fifty Shades of Grey has received some really mixed feedback but it’s still incredibly popular. Maybe I should write erotica next. 🙂 Where can we find out about you and your work? Allan: The best place would be my blog, The Write Stuff http://allandouglas.com/blog from there you can learn more than you want to know about this nut-case and find details about my books and where to buy them. And I really encourage that “buy them” part; the dog’s kibble bucket is nearly empty again. Morgen: Oh dear… I have a dog, I know how sad that sounds. Thank you, Alan. Writing for Profit or Pleasure; Where to Publish Your Work, is 146 pages, 30,000 words of concise, insightful information about where and how a writer can achieve publication of their writings. Whether you write for income or for the joy of it, whether you aspire to write on-line or for print, this book has a wealth of information to help you find and secure publication. Allan Douglas has been an author, writer, and prattler since the 1970’s. Published mostly in magazines but has three books to date with more on the way. He lives on a mountainside in the Cherokee National Forest in East Tennessee with his wonderful wife, Marie, a genius border collie and a Prima donna hound dog who is queen of the mountain. He serves as an ordained Elder and Clerk of Session Clerk (writer of minutes) in his church, is a master woodworker/furniture maker, and once dreamt of sailing the world in a Bristol Channel Cutter. Stories about this and his life as a mountain man wannabe are posted to his Simple Life Prattle blog: http://www.SimpleLifePrattle.com. He also offers advice to writers at The Write Stuff. Thank you Morgen for this hot-seat experience! It was actually lots of fun.